Can Cats Eat Honey? Is Honey Good Or Bad For Cats? Can cats eat honey? Is it safe for them? It’s good to know that honey is safe for your cats. 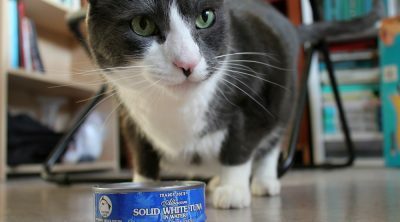 This sweet product isn’t included in the list of foods that are poisonous to your feline friends. However, not all honey is created equal. The only best form that you can feed to your cat is the unprocessed, raw honey. It’s milky and thick in appearance. Raw honey has several benefits. It contains anti-bacterial properties and it’s rich in antioxidants. Then again, your cat may not easily digest it. 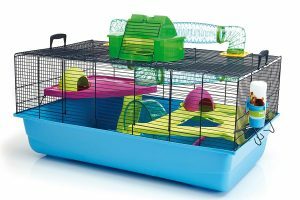 If you need to feed hone to your pet then give a small amount at first. Domesticated cats are picky eaters. When they see a jar of honey, they won’t easily gobble up the entire content as your dogs would. That said, you won’t have to worry about them eating large quantities of this sweet treat. Can Cats Eat Honey When They Are Sick? How Much Honey Can Cats Eat? As mentioned earlier, honey is not toxic to cats. Thus, it can be safely given to your feline friend. Honey is one of the most pure foods there is, and is incredibly beneficial to humans and animals due to the mineral makeup. Honey can be used as a food, as a spread, as a medicine, or mixed into drinks, teas, and smoothies. 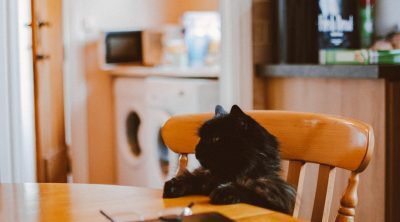 Your cat may simply like a bit in his/her food, or a little lick off a spoon, but however your cat enjoys honey, your cat will benefit from the raw properties. Even though your cat may eat honey and enjoy it, your cat is a carnivore. Though s/he is a tamed carnivore and a bit domesticated, s/he is not that far removed from the wild life his/her ancestors survived. That said, honey may not be considered a must on a cat’s menu. 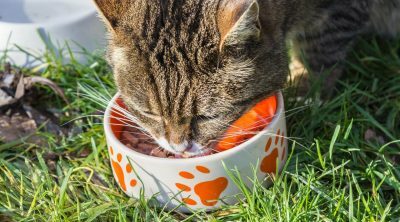 Cats need their protein to derive from a meat source, and cat food provides all the minerals and vitamins your cat needs to live a long and healthy life. If you wish to add to your cat’s diet, this is usually ok, but not necessary. 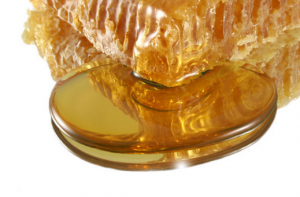 Honey is a good addition as a treat or medicine, but should not be used regularly or as a food. Apart from that, your pet may not easily digest it the same way your system does. They may get a stomach discomfort as a result of eating honey. Cats do not tolerate human food the same way humans do. Cats also have small mouths, throats, and stomachs, and are without the ability to swallow sticky foods and such the same way we humans can. 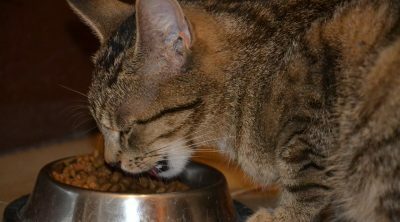 Given in small amounts, honey should not cause a choking hazard or be difficult for your cat to consume, but your cat may have sensitivity to the new food and experience stomach upset. Be sure to introduce honey to your cat slowly, and in small amounts. 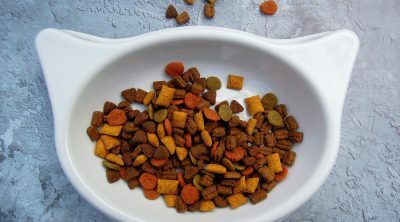 Perhaps leave a trace of honey on some kibble or dip a cat treat in honey to gauge your cat’s reactions. You may give a small amount of honey to your cats when they are suffering from a sore throat. But make sure that your pets have indeed a sore throat and not just a scratchy throat, which is normal to cats. Honey is deemed a natural homeopathic medicine for sore throats and coughs, and has shown to be more effective at soothing throats and coughs than cough medicine. Honey also has properties that boost your immune system-giving your cat a bit extra power to kick it cough and cold. Before offering honey to our cats, dilute it with water. In this way, the honey will not be too sticky to swallow. Cats may find honey sticking to the roof of their mouth, or on their teeth, and not be able to work the honey down their throats. 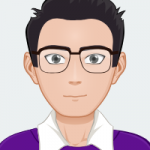 Using honey in water, and possibly squirting the mixture into your cat’s mouth using an eye dropper, will be the most efficient method of offering honey to your cat. If your cats have allergic reactions to something, a raw local honey may do the trick. Honey contains local pollens that may help in relieving your pets’ allergies. Honey is known to boost your immune system and your tolerance for seasonal allergies. If you cat is red eyed, sneezey and lethargic in the spring and fall, you may wish to add a bit of honey to their diet as a method of allergy control. Then again, you should consider consulting your veterinarian first. Do not feed cats processed honey, especially if it is made from another country. Processed form honey has been heated, and the heat, as we all know, destroys the effectiveness of any natural remedy. In this case, the pollen in the honey would be destroyed. Honey must be offered raw and free from process to be deemed effective and useful. Good thing is that the raw honey can be easily purchased at your local farmers markets. You can also purchase it from a health food store or online. Many neighborhoods have people who have bee hives and harvest their own honey as well. Finding a local honey producer should not be too difficult if you ask around. Some have said that giving cats a small amount of raw honey per week may enhance their immune systems. When their immunity is strengthened, they no longer have to worry about signs of allergies. However, if your cat develops an allergic reaction to honey itself, seek veterinarian care immediately. If it’s the first time for your cats to eat honey, then you should give them a tiny amount, about half a teaspoon. Observe for some allergic reactions, like vomiting or diarrhea. If there are no reactions, you may give another teaspoon of honey. But it really depends on your cats’ reactions and size. Smaller cats may have a teaspoon while larger cats can have one tablespoon. Before you give your cats honey, though, you should consult your vets. And if it’s allergy season, it’s best to ask your vets some medicines that you can give to your cats if allergies arise. During allergy season, never give your cats prescription medicines designed for you. Human medicines are just plain dangerous to your pets. They contain ingredients that can’t be digested by a feline’s system. Some human medicines are quite tasty to your cats. If they like them, they might consume the entire bottle, which can be life-threatening. Honey is sweet, despite its many health benefits. Thus, if your cats are suffering from diabetes, you should first consult their vets before feeding them honey. Bear in mind that the high sugar content of this product can easily increase their insulin levels. It may also not be ideal for overweight cats. A tablespoon of honey contains 64 calories. Consuming one to three tablespoons can pack unwanted pounds. It’s also not ideal for kittens or young cats as raw honey may contain bacteria that cause botulinum. Kittens’ immune systems are not yet fully developed. That said, they won’t be able to defend themselves the same way as adult cats. Not all veterinarians have the same view about honey’s benefits to cats. Some argue that they’re not healthy to felines while others are saying that they can be good to cats’ health. Since every cat is different, you should only serve honey to your pet if you think that he can handle the sweet treat easily. Always ask your pet’s veterinarians advice before introducing any new food to his diet. cat iood is not always the best food to give your cat …depends on the cat food how much trash is in it. 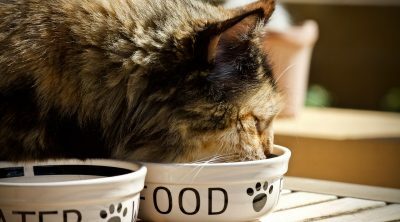 Please do not say cat food is enough thats like saying drinking any kind of water is safe…….NOT TRUE!! !